Christmas is a little under three months away (sorry) and as I recently bought the Stampin’ Up! Sleigh Ride edgelits and Jingle All the Way Stamp set I sat down and made my first Christmas card. I used Island Indigo as a card blank with a Whisper White mat. 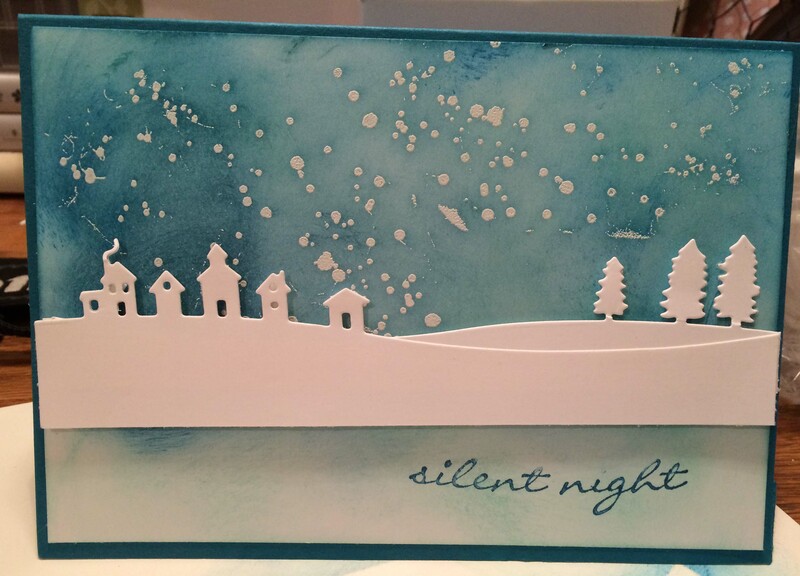 I used one of the stamps from Gorgeous Grunge for the snow which I heat embossed in white. Then, using various blue shades (Island Indigo, Pool Party and Pacific Point) I rubbed ink over the card using a sponge until I was happy with the way it looks. The great thing about this is that it really brings out the heat embossing. I used two of the three edgelits from the Sleigh Ride with the Big Shot set to die cut the images which I overlapped and popped on to the card. Then I finished it off with a sentiments. What a lovely card. Gorgeous grunge is so versatile. Thank you. Yes Gorgeous Grunge is incredibly versatile. I absolutely love it.